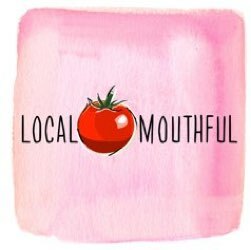 In food news this week, we talk about an article on Civil Eats, Edible Landscapes Are Un-Lawning America. Joy felt called by the universe to make a specific Melissa Clark recipe, Sesame Chicken with Cashews and Dates, from her book Dinner. It was good! You can find the recipe here. 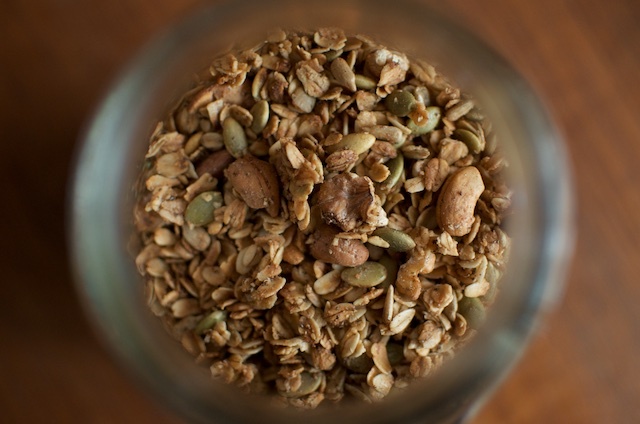 Marisa walks us through her master recipe for granola, which is: 3 cups rolled oats, 1 1/2 cups seeds and nuts. ½ cup sweetener (honey, maple, brown rice syrup, etc) and ¼ cup oil. Pinch of salt and some spices if you’d like. Mix and bake on a parchment lined baking sheet a 300°F/149°C for 25-35 minutes, stirring every ten or so. Many people are taking a cue from Marie Kondo and tossing belongings that fail to spark joy. We try that out on our recipes and cookbooks. And what are we loving this week? It’s cashew butter. I missed you! So happy to have my ‘friends’ back! The podcast just gets bettere and better! Ditto to what Wendy said! Glad to have you ladies back. I really resonated with what Joy said about needing to “Marie Kondo” her recipe binder. I did it once several years back, but I wasn’t very aggressive about it. Time to tackle it again!